Mercy Weiss (ft Christopher and Erin Pellnat) - War. 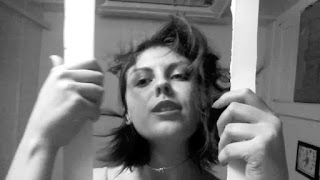 Background - Mercy Weiss is an unsigned singer-songwriter from Brooklyn, who currently lives in Los Angeles. Her unique songwriting and jazz-influenced vocals can be heard on a variety of collaborations with different musicians and producers. In 2016, she released the "Mercy EP" Bandcamp here - a collaboration with Christopher Pellnat, who is also the guitarist in the Poughkeepsie, NY based band, The Warp/The Weft. "War" is another collaboration with Christopher Pellnat, with the addition of background vocals by Erin Pellnat, of the Brooklyn band, Caretaker. Mercy wrote war after talking with two homeless drunk veterans at Union Square Park in NYC one day. Linah Rocio - Kill The Monsters. Background - Linah Rocio is a singer-songwriter whose music - a fervid mix of jazz and indie, soul with hints of avant-pop - is passionate and powerful, intimating all manner of behind-scenes torment and drama. Showcased on her compelling new album Warrior Talk, it is beautifully arranged, with instruments ranging from electric guitar, piano and drums to banjo, trumpet, cello and double-bass. Each musician helped to shape the direction of the songs they performed on, adding to the free form nature of the recordings. Deleter - Start To Watch. Background - Deleter is a punk rock/post-punk group from Minneapolis, MN composed of vocalist/guitarist Knol Tate (Askeleton, Killsadie), bassist/vocalist Travis Collins (Spirit Of 76, We Are The Willows), drummer/percussionist Josh McKay (Farewell Continental, Small Towns Burn A Little Slower) and guitarist Jordan Morantez (Blue Green, The King & The Thief). 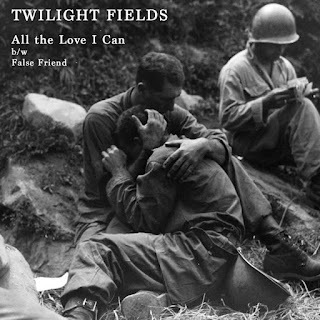 Twilight Fields - All the Love I Can. Background - Twilight Fields is from Northern Canada and makes a mixture of atmospheric and psychedelic rock and influences from progressive rock, ambient, dream-pop, psych-folk and shoegaze. "All the Love I Can" was originally conceived as part of a Beach Boys cover ep of the song "All I Wanna Do" from the "Sunflower" album. When I dropped that idea half finished, I decided I still really liked one of the original compositions I had intended to include, "All the Love I Can", which emphasizes the theme of unconditional love of the original song. The production pays homage to the wall of sound production style practised by Brian Wilson and Phil Spector. "False Friend" is an old song redone in an ambient pop style and deals with the subject of betrayal. Facebook here. 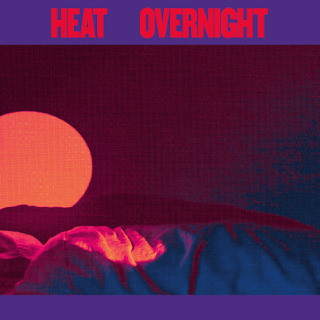 Heat - Lush, (from the album Overnight). 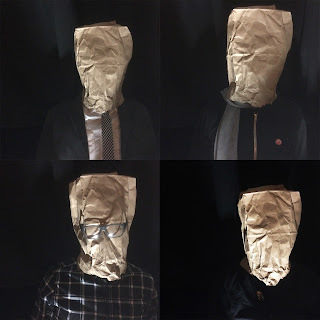 Background - One only needs to take a quick glance at the bands that Montreal quintet Heat have been compared with to get a firm grasp on the visceral, wholesome noise they produce. From the brash pop of Echo and the Bunnymen to the post-punk leanings of Psychedelic Furs, this is a band that proudly take their place in the great alt-rock lineage, delivering rousing, thrilling anthems for the disenfranchised. Initially starting as “as an excuse to get together and drink”, Heat has grown in to something far more significant - and new record Overnight offers their most notable work to-date. Background - Chicago’s Vaudevileins released their new LP Magician on vinyl, CD, and digital download back on Nov. 18, 2016. 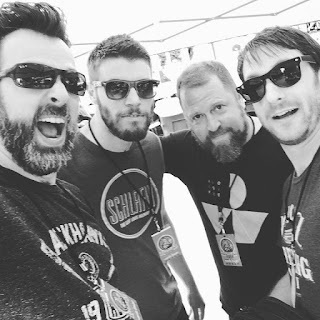 Along with Jeff Julian (vox/guitar), Brennen Chouinard (drums/vox), and Bill Aldridge (bass), Evan Mohler joins Vaudevileins on lead guitar for the band’s second full-length recording, which will be their first release on vinyl. The 10-song album is the culmination of a multi-year songwriting and recording effort at Aldridge’s Third City Sound in Joliet, Illinois. Bill engineered the project, and the band worked with their long-time collaborator Jeff Halland, who mixed and mastered Magician for digital and vinyl at his home studio in Minneapolis-St. Paul.